In the shinobi world, Jutsu, or Techniques, are the main form of combat. Utilized throughout centuries, Jutsu employ the use of chakra to perform impossible feats far beyond a ninja’s usual capability. On Saga, all techniques require the use of chakra (Taijutsu or Weapon techniques which do not require chakra can simply be roleplayed), expanding this resource to provide their effects. This guideline will show you how to construct techniques and all the values and rules for their speeds, ranges, damages, etc. The most important thing to remember when creating techniques on Saga is that no technique can do everything. The last thing we want is to bog down your roleplaying experience. So, while we are able to help you fix your jutsu, we want the application process to be as streamlined for you as possible. In order to make jutsu, you must first know their components. The following are four key pieces to any technique. All techniques require these four things. Despite the phenomenal power of chakra, there must be a basic way in which you manipulate it to form your jutsu. Every technique has a method of how it achieves its Effects, called the Descriptor. While the Effect of a jutsu may be burning, the Descriptor could be different things, such as fire or electricity. Likewise, a technique that halts movement could be a physical binding, paralysis of the nervous system, an illusory impediment, or any sort of means that a one can imagine. Descriptors tell us what the jutsu is doing in-character and how it accomplishes the effect, instead of applying an effect without contextual information. They assist us in telling what happens when two jutsu of certain descriptors interact. For instance, a stealth technique which conceals heat signatures is countered by a sensory technique that detects them, at equal rank, due to the sensory technique detecting the descriptor of the concealing technique. These descriptors are the most important facet of telling others how your technique functions. If technique Descriptors are the “how”, the Effect is the “what”. Effects are the mechanical repercussions or benefits of a given technique, such as damage, stat buffs or debuffs, defensive capability, or utility effects (e.g. - blinding, terrain manipulation, etc). Technique effects determine what will happen when a technique is performed, hits somebody else, or otherwise interacts with the world. Effects are secondary in telling staff and other roleplayers how your technique interacts with other jutsu, especially by naming certain descriptors; for example, a fire technique that specifically evaporates water techniques, or a wind technique that siphons oxygen from an area to smother flames. The duration of an effect is always measured in a count of posts; Saga’s fluid-time system is not conducive to effects that last a certain number of seconds, minutes, or otherwise. Once you have a “how” and “what” to your jutsu, you need to decide a “who”. This is often but not always equated to range; think about what types of jutsu or people your technique might affect specifically, especially if it’s not exactly stated in the technique’s range. This can be thought of as what a technique is capable of ‘targeting’, generally speaking techniques with more specific targeting are able to perform effects more precisely, but suffer from the obvious limitation of only being useful in niche situations. Even the most powerful technique suffers from a blind spot, a weak point, or some means of combating it. Alternatively, Limiters can be comprised of mechanical limiters on one’s effects or subjects, restricting the range and targeting capacity of a jutsu or its outright power in damage or other capacities. Two contrasting examples are the Planetary Devastation technique and a simple Great Fireball. The Fireball suffers from a linear attack range and need for inhaling to complete the jutsu despite its large projectile size and fairly high power. Conversely, the Planetary Devastation technique is nearly impossible to combat creatively, but its gravitational pull attracts all jutsu to its core, making it possible to defeat even without aiming properly. Description: A technique where chakra kneaded inside the body is converted into fire and expelled from the mouth, either as a massive sphere or as a continuous flame-thrower. The released flames will engulf their target, and is capable of leaving a crater in the ground's surface. Traveling a maximum of 25-meters from the user at 25m/s in a single straight line, the fireball is capable of inflicting minor second degree tissue damage on contact with their target. To apply for techniques, you create a Jutsu Registry topic in the Jutsu general forum. Techniques which are applied for are to be edited into the first post (as opposed to posting more jutsu in later replies). You can can choose to apply for techniques from our list of Library Jutsu, also found in the Jutsu forum, or create your own using the template below. When a jutsu has been approved by a moderator, once training is complete, it can be approved in your Jutsu Registry, after which the technique can be paid for via an Admin Request. To store known jutsu (those that have been trained and paid for), simply create a Jutsu List topic in the jutsu list forum corresponding to your village. Do not take other members' custom jutsu, or make similar techniques that copy original ideas, without permission or seeing it IC extensively. Be sporting. Name: What is the name of your jutsu? Origin: Is the jutsu from the series or your own personal creation? Rank: What rank is your jutsu? Type: Offensive, Defensive or Supplementary? Element: If any, what Element is necessary to use the jutsu? Range: What is the range of your jutsu? Specialty: What Specialization is necessary to use the jutsu? Duration: State how long your jutsu, and any of its effects, last. Cooldown: For how many posts after the jutsu's Duration can you not use it again? Hand Seals: Here you list the standard requirements to activate a jutsu, such as hand seals or genjutsu triggers, as well as preparation periods or similar requirements. Description: What exactly does the jutsu do? Explain in detail the effects and advantages of the technique. Detail only what the jutsu does, you do not need to put flavor text in here. [b]Name:[/b] What is the name of your jutsu? [b]Origin:[/b] Is the jutsu from the series or your own personal creation? [b]Rank:[/b] What rank is your jutsu? [b]Type:[/b] Offensive, Defensive or Supplementary? [b]Element:[/b] If any, what Element is necessary to use the jutsu? [b]Range:[/b] What is the range of your jutsu? [b]Specialty:[/b] What Specialization is necessary to use the jutsu? [b]Duration:[/b] State how long your jutsu, and any of its effects, last. [b]Cooldown:[/b] For how many posts after the jutsu's Duration can you not use it again? [b]Hand Seals:[/b] Here you list the standard requirements to activate a jutsu, such as hand seals or genjutsu triggers, as well as preparation periods or similar requirements. [b]Description:[/b] What exactly does the jutsu do? Explain in detail the effects and advantages of the technique. Detail only what the jutsu does, you do not need to put flavor text in here. Below you will find general boundaries for jutsu parameters based on rank, which cannot be exceeded within the scope of a single technique under normal circumstances. Techniques using the speed, range, and damage values below can have one maximum value for its rank (typically called a Max Effect or Max Value). Any other values must be the minimum for the jutsu’s rank. Exceptions may be made, such as in the case of clan abilities or Senjutsu. A-Rank and S-Rank techniques may possess two Max Effects. One Max Effect/Value is equal to 2 Mid Effects/Values, or 4 Min Effects/Values. When creating jutsu outside of the rules below, such as utility techniques, keep in mind that different moderators may construe a certain effect as more or less powerful than you either think or intend it to be. The more unique the effect, the more scrutiny it may be under. If you think a staff member has wrongly modded your jutsu, first explain why you think your technique is balanced or rank-appropriate. 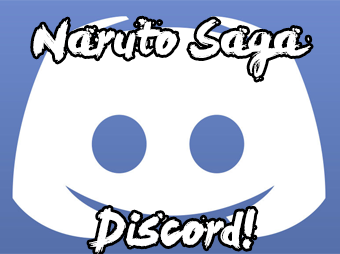 If the mod stands by their ruling or does not believe compromising results in a balanced jutsu, you can contact a higher-rank moderator or administrator for a second opinion. Damage determines how much injury an offensive technique is able to inflict on its target, based on rank. Jutsu effects, while they may vary, are typically similar in their offensive power, and are measured in degrees of burn, tissue damage, or bone damage. The table below details the extent of damage that can be inflicted by a technique per-rank. Virtually indescribable in terms of breadth and severity; these are sure-kill techniques. Techniques with a duration longer than 1 post only deal up to their damage in a given location on a victim's body. For example, stabbing the same point on an opponent with a C-rank jutsu will only pierce a total of ~2.5cm, regardless of how many attacks are landed in the same spot. Travel speed is an imperative and mandatory facet of any technique that have an effect moving from point A to B. Most, if not all jutsu are considered to be 'cast' at the same speed, meaning that all jutsu which require hand seals or a similar substitute are cast at the same speed. When utilizing techniques with speed values, it is important to remember that jutsu do not reach their maximum speed instantaneously. That is to say, a technique will accelerate to their maximum speed by the end of the post that they are activated. Techniques may also utilize speed values to increase their own speed, whether this be a flat increase or occurring in short bursts. In the case of the latter, such techniques typically require set travel distances to be stated. Any number of techniques can be activated and used to reach this number, however no number of techniques can exceed it. Additionally, the formation of projectiles and explosive effects always utilize the travel speed as their own speed. For example, if a fireball moves at 15m/s and explodes into a preset radius on contact, then the explosion also occurs at 15m/s. Techniques that increase the user's speed can never exceed a global hard-cap of 200m/s. Ranges are the measurement of what distance a jutsu can clear, or how far its effects permeate. Ranges differ based on the ability; range is something that can vary with each jutsu, much like Speed. Depending on the technique, a weaker or slower ability is allowed to have a longer range to compensate while a powerful or quicker ability would be much more restricted in its range. A list of maximum ranges per rank, if measurable. Radius effects apply to both effects that surround the user or a target area, as well as blast radius of projectile jutsu. Certain jutsu can bestow or inflict an increase or decrease of a stat by a certain amount. Self-targeting jutsu do not use speed and range values, and as such are solely balanced based upon their power or other effects they possess. “Debuffing” jutsu use the same rules for damaging techniques, except using a certain level of stat modification for any given rank as its Max Effect. When choosing for minimum stat bonus the duration is allowed to be 3 posts, when choosing for middle stat bonus the daurtion is allowed to be 2 posts, when choosing for maximum stat bonus the duration is only allowed to be 1 post. Finally non-taijutsu users suffer from a backlash for using such techniques and suffer a debuff of the same duration and intensity as the buffing effect. When using a jutsu to modify stats, you cannot increase or decrease any single stat more than 8 tiers. The defense blocks or otherwise defends against only one jutsu of equal rank, one rank lower, or one rank higher. The defense blocks two jutsu of equal rank; two jutsu of one rank lower count as one jutsu of equal rank. (For example, two jutsu of B-rank would count as one A-rank.) However, it can’t defend against jutsu of a higher rank than itself. Either of the above options, when used as listed for its rank, counts as a Max Effect. Lowering these values either in rank or number can allow for an auxiliary or offensive ability on the defense. A technique that provides both Offensive and Defensive function, including auras or armor made by Jutsu which provides protection while enhancing damage, or a seal which is capable of defending against a technique and redirecting its offense toward another target or the user falls into this category. A technique which utilizes both offensive and defensive values counts as a max effect for that jutsu, requiring a drawback or higher rank as usual to gain access to maximum defensive or damage values. Once an Offensive/Defensive technique expends its interaction potential by defending against a technique or interacting with a defense, it expends its interaction potential, making it incapable of defending against any more techniques or interacting as its rank offensively. These types of techniques are not a specialization, but more of an archetype of ninja arts that can fall under many Specializations, and is prohibited from practically none of them. They are not offensive, defensive, or stat-changing; they allow the user of the jutsu to detect the people around them through methods that either enhance their existing senses (i.e. Inuzuka scent-sensory, Dōjutsu), or providing extrasensory perception. You can find acceptable distances for area-effect sensory jutsu in the Range section; sight-based sensory jutsu are assumed to allow you to turn your head, replicating radial sensory. The descriptor for a sensory jutsu tells others how your technique is searching for others. Thus, each sensory technique can only have one method through which they perform their sensory function (e.g. - air disturbance, chakra residue, etc). A and S-rank sensory techniques may perform two such methods simultaneously. If you only have one descriptor for an A or S-rank sensory technique, it gains an additional Max Effect. D-Rank - Can focus on the general location of a single individual or occurrence (within 5m of their actual position), within the purview of the sensory jutsu’s descriptor. C-Rank - Can determine the general location of multiple individuals or occurrences (within 5m of their actual position), within the purview of the sensory jutsu’s descriptor. B-Rank - Can determine the general location multiple individuals or occurrences (within 2m of their actual position), or focus to find the exact location of one individual, within the purview of the sensory jutsu’s descriptor. A-Rank - Can determine the exact location of multiple individuals or occurrences within the purview of the sensory jutsu’s descriptor. Legendary - Nothing escapes the notice of your sensory jutsu. The tiniest twitch, the slightest fluctuation of chakra, and even silent hitches of breath are clear as day to you. 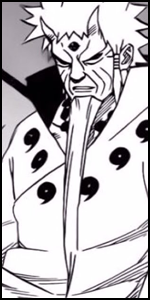 Using the above sensory values equal to a jutsu’s rank counts as a Max Effect, and would require a minimum range on that technique. You can use values of 1 rank lower without it counting as a Max Effect. Stealth Techniques may obscure the user in various ways; these can be clouds of dust, cloaks of invisibility, sound-dampening shrouds, and so on. Every stealth technique must contain a flaw when hostile action is being taken, however, which may vary between techniques but must always be listed in the technique's description. Stealth techniques that conceal oneself from a natural sense, such as the five traditional senses, is effective regardless of an onlooker's Perception. However, because stealth Techniques are considered the aggressor when interacting with Sensory Techniques, Stealth Techniques can only hide from Sensory Techniques of lesser rank. 'Natural Senses' refer to the aforementioned 'traditional' senses, such as sight, sound, and scent. 'Supernatural Senses' refer to senses such as sensing chakra, vibrations, body heat, lie detection, and so on. Can hide from sight + one other sense. Can hide from five senses. Can hide from all five of the major natural senses, two types of supernatural sensory methods, and two natural senses. Can hide from four types of supernatural sensing without natural senses. Can hide from all five basic senses + two additional senses. Techniques with multiple projectiles are considered a Max Effect. Like multiple-post duration jutsu, the effects of projectiles are cumulative - given any number that you can fire, the amount of damage or other effects you can accrue only depends on how many of them actually connect with the target compared to the whole. The sizes of projectiles are determined by the radius of a jutsu for its rank, and is considered its own value (i.e - a projectile with maximum size counts as the maximum value for the technique). Healing jutsu follow the same general trends as defensive techniques, in that they heal 'instances' of damage, otherwise defined as a specified 'jutsu's worth'. This means that no matter how much damage is dealt from a single technique, whether it be a single wound or multiple, healing techniques target all damage dealt by that specific technique. Healing techniques which target multiple individuals must heal damage of 1 rank lower. Conversely, healing techniques that target a specific wound (such as restricting the area they can affect to be no more significant than a single limb) can heal damage of 1 rank higher. Every shinobi, at some point in their lives, develops a special ability of some capacity that is unique to them; a certain attribute of their theme that sets them apart from others. Players on Saga are granted two such 'abilities' that are unlocked at C-Rank and A-Rank for free. The C-Rank ability is purely cosmetic, that is to say, it cannot offer any sort of tangible mechanical advantage. Such abilities can range from changing the colour of an element to unique aesthetic features, such as a tail or ears, provided that they do not impart an aforementioned mechanical advantage to the user. The A-Rank ability may be a mechanical advantage, equivalent to an A-Rank jutsu with all minimum values. These abilities are limited to the user's theme or concept, thus requiring it to be 'in line' or otherwise relevant to a character's motif. This ability can not interact with jutsu by themselves, must be 'supplementary' and not offensive or defensive, and can only affect the user. Additionally, this ability excludes mobility effects, such as speed increases, burst movement, or flight. Abilities cannot be changed under normal circumstances, such as a player no longer wanting the effect and wanting a different ability instead. These abilities are treated as jutsu. Using the simple template provided below, all abilities are to be posted in the character's Jutsu Registry and submitted for approval before it can be used. Catalyst of one rank below jutsu rank. Catalyst equal to or above the jutsu rank. Miscellaneous modifiers are boosts or detriments to specific areas; these cover effects such as gaining an advantage to breaking out of Genjutsu, or decreasing the power of a certain elemental Release within its range. These jutsu target specific aspects of battle as opposed to stats. These work on a case-by-case basis, and are some of the most diverse types of jutsu, though are typically limited to modifying jutsu of two ranks higher than themselves (before any interaction bonuses apply). Techniques which assault a target's chakra pool can cause their chakra to be reduced by the activation cost plus 10 chakra at D and C rank, or plus 15 chakra at B and A rank. This further increases by 5 per additional post of Duration the technique has. (Roughly divide the total 'chakra drain' by the number of posts in increments of five.) Chakra-draining techniques can only target one person normally. If a chakra-draining technique hits more than once, it drains 5 (at D and C rank) or 10 (at B and A rank) chakra per hit. This is capped at the above values +15 chakra (D-C) / +30 chakra (B-A), as hitting multiple times in succession is not always possible. This method allows a ninja to hit multiple people with increments of chakra drain. S-rank techniques, being "overkill" in general, have the potential to drain chakra from multiple people using radius effects, or drain an immense amount of chakra (equal to five times the activation cost) from a single person. When creating a jutsu, some specific effects are predetermined in the capacity in which they occupy an effect slot. Such specific effects are listed below. Additionally, when creating techniques, keep in mind that like-effects cannot be stacked. That is to say, you cannot have a jutsu that doubles up on defensive values, or utilizes multiple instances of the same effect within the technique. Can channel 2 elements or has 2 element variants. Pierce through one defense technique without losing interaction potential. Can channel any of the user's available elements. Can scale effectiveness of techniques to the user's stats. Full-body Paralysis and Paralysis-like Effects. Can have 2 free Max Effects/Values. Can grant +/- 1 interactions between techniques. Specific positions of the fingers and hands are required for most people to properly call forth and manipulate their own chakra to perform techniques; they are a staple of what most people perceive to be the ninja profession. Every technique has a different hand seal sequence, and accordingly hand seals must be performed correctly to create a jutsu’s effect. The hand seals that are largely used in the Naruto setting are Rat, Ox, Tiger, Hare, Dragon, Snake, Horse, Ram, Monkey, Bird, Dog, and Boar. Utilizing custom hand seals require a description of how the hands are placed, or a visual reference. However, techniques can use stances and specific non-attack bodily movements in place of hand seals. These alternate activation requirements are no faster or slower than hand seals, and serve only as a different means of activation. Activation requirements must be listed in the Activation field in the jutsu template. Technique durations, as previously mentioned, are measured in units of 'posts'. Measurements of time, such as seconds, minutes, hours, days, and so on, are not a legal method of defining a technique's duration. By default, techniques have a duration of one post, although the duration of the technique can be increased using Mid or Max Effects. A jutsu cannot be activated again until its Duration has completely elapsed. A jutsu can be activated on successive posts, but you pay the full chakra cost each time you do so. Effects from a previous casting of the same technique may persist between uses, per that technique's description. S-rank and Legendary techniques (including item active abilities used at S-rank power/interaction) are limited to use once per thread.